What Sheaffer calls a "Broad" nib is what I would consider a Double Broad (BB) nib, writing a line that is approximately 0.8mm - 1.0mm in width. What Sheaffer calls a "Stub" nib is the equivalent of a "BB Stub" nib that writes a line with approximately 1.0 mm in width. These are ultra smooth and wonderful writing nibs. COMMENTS: This offering is for multiple of the same pens available. They are all New Old Stock (NOS) pens made by Sheaffer in Fort Madison, Iowa, USA before the BIC Pen Company bought them out. These are never used pens, with the box, papers and everything that came with these pens. 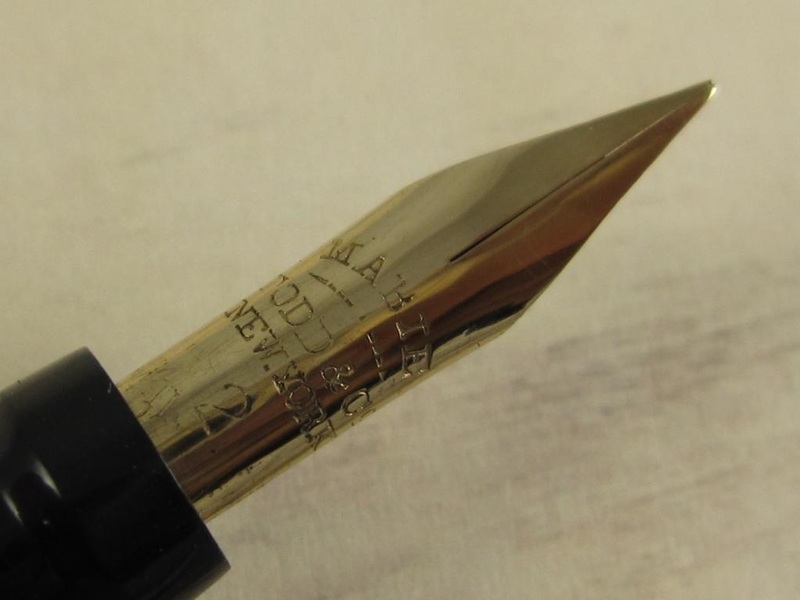 The price of $350 is a true bargain as these pens have 18k gold nibs, pen bodies made out of sterling silver, gold trim, and were made in the US, meaning their value will only go up over time as highly collectible pieces ... Sheaffer Legacy in sterling silver 925. Fitted with an 18ct. inlaid nib. "925 Sterling Silver" imprint on the cap band. Measures 5 1/2" long (capped). This model was inspired by the famous Sheaffer PFM model. Touchdown filling mechanism. This pen can also use Sheaffer Skrip ink cartridges or a Sheaffer standard "squeeze" converter. 2 ink cartridges, instructions, flannel, and a red leatherette gift box included. NOS, new, never used. Made in Fort Madison, Iowa, USA in the 1990s. MONSTER FLEX & LINE VARIATION !!! 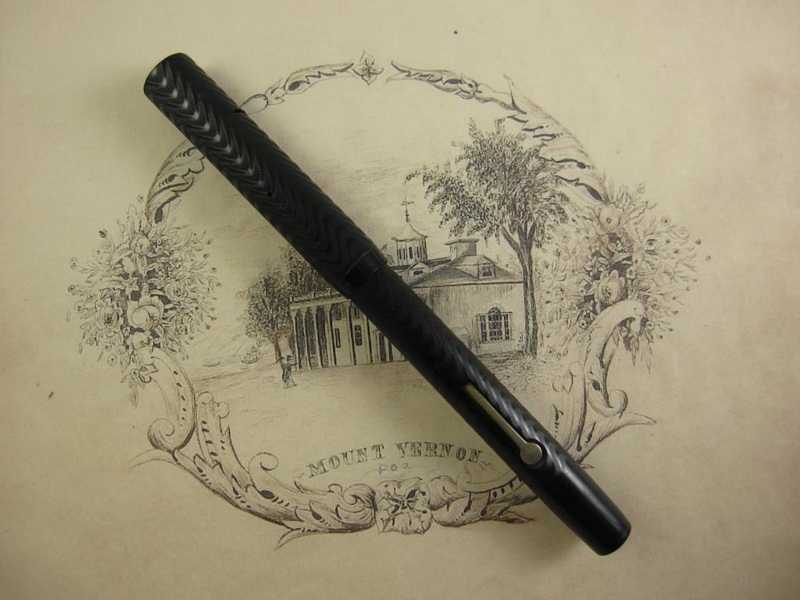 Nib Type: 14k Dip Nib, 1850s Imprints: Yes Length: 5 3/8"
COMMENTS: This offering is for a one of a kind lever-filler fountain pen and flex nib ... "No Name" lever filler pen from the 1920s in black chased hard rubber. 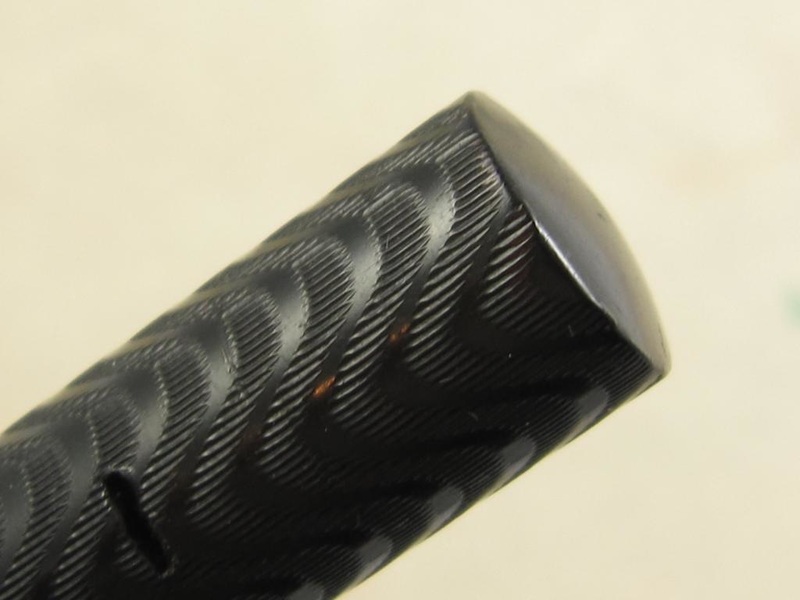 Screw-on cap. Missing clip (as shown in picture). Full sized pen. Fitted with a solid 14k gold Mabie Todd #2 dp nib with iridium tipping from the 1850s. 14k gold dip nibs were very uncommon and very expensive nibs, used only by the most affluent writers in the mid 19th century. With a light hand, this nib can produce a fine fine to quadruple broad line (approx. 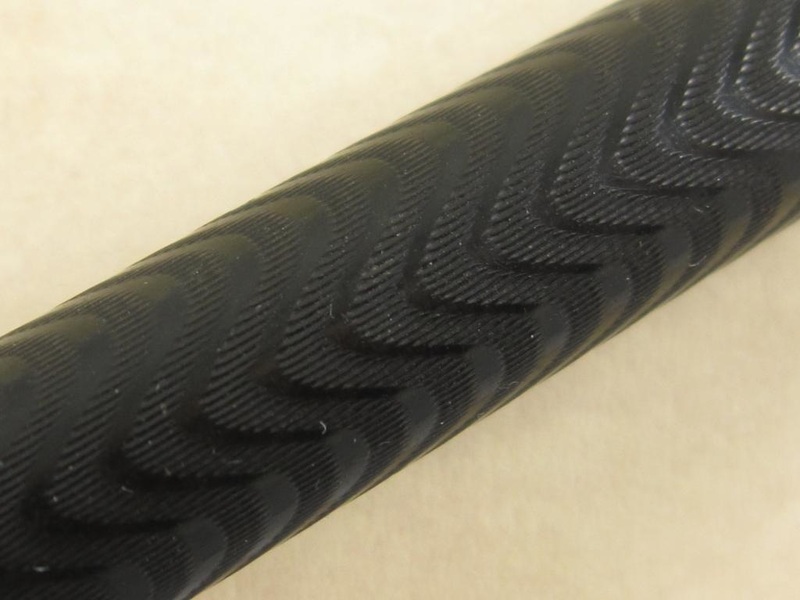 4mm in width), which is monster line variation. Likewise, the flexibility of this nib surpasses the flexibility of any fountain pen nib I have uses. In my fountain pen flexibility scale from zero to 100, I would grade this 14k dip nib at about 160, which is monster flexibility! Despite the very extreme attributes, this nib is also able to write like a normal nib when not flexed. How is this possible? Iridium tipping makes the difference compare to those difficult to use steel dip nibs. Very clean pen with perfect and crisp chasing and color. Lever filler. New sac. Fully serviced. Made in the USA in the 1920s. 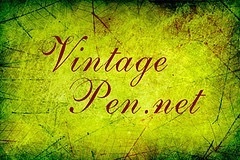 There are some dip nibs that can be more flexible, able to achieve thinner lines, offer wider line variation, and offer more responsiveness than fountain pen nibs. However, the disadvantage in steel dip nibs is that they do not iridium tipping, making them scratchy and much harder to use. They are prone to corrosion. They do not last long. 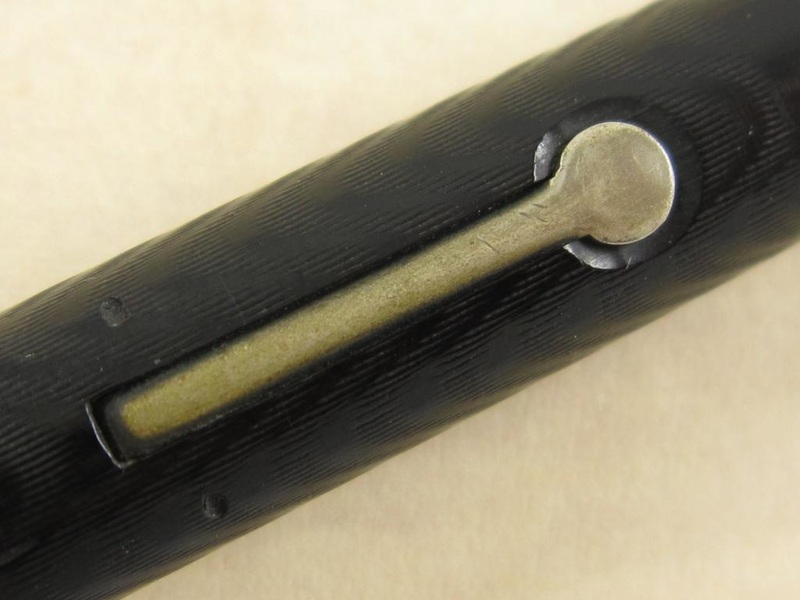 They need the constant dipping the nib into an inkwell to replenish ink. The beauty of these very exclusive offerings I make here is that you get the best of both worlds combined into one single pen/nib. Now, how cool is that?